What is he up to now? 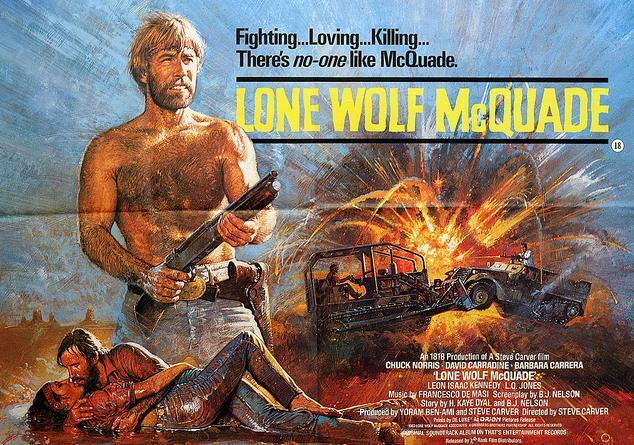 Of course Kenny being a little younger than us, has never heard of this fine gem. All I said was; Its Got Chuck Norris, The guy from Kung FU (aka Kill Bill), the guy from CHIPS, a DC-3, a Chopper, Machine Guns , Dodge Ram Charger with a Super Charger, Beer drinking and the best ever escape from being burried alive. He said “No Way!!”. I said, All this is just in 3 mintues in the middle of the film and I can prove it with YouTube hahaha… ENJOY!! For you guys who need a reason to watch it again… Try the drinking game!! Everyone finishes their drink for zombie pickup! 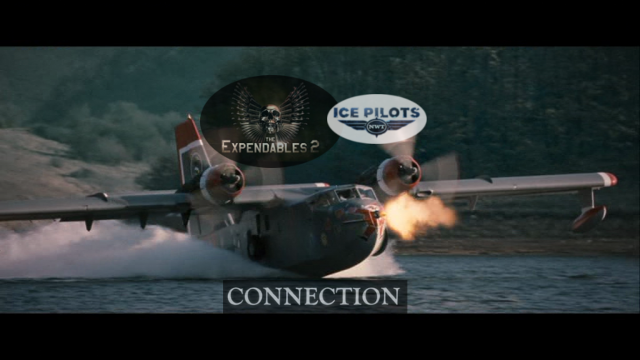 First off I loved the 1st Expendables movie. Seeing all the old boys give’r one more time is just an awesome formula for a flick. I know a lot of people didn’t like the 1st movie, I like to call those types of people LOSERS. Anyway, I remember watching it and seeing that they used a very cool airplane called the “Albatross”. When the movie was over I said to everyone that they needed a CL-215 “Duck” to step it up in the squeal, I never thought that I might be right. 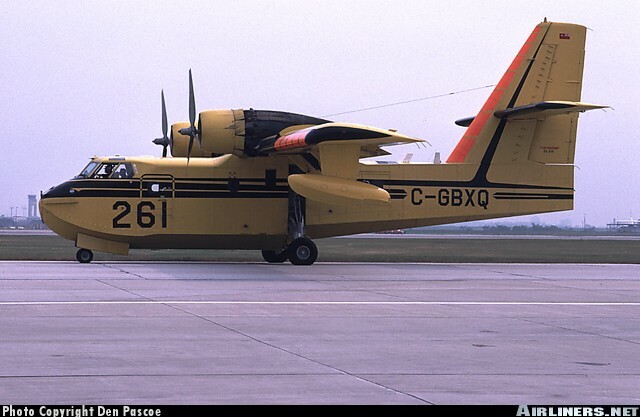 We need to hire one Canadair CL-215 from 10 of November 2011 approximately for ten days. Please offer us ferry flight to SOF and 15 hours flight time in Bulgaria. 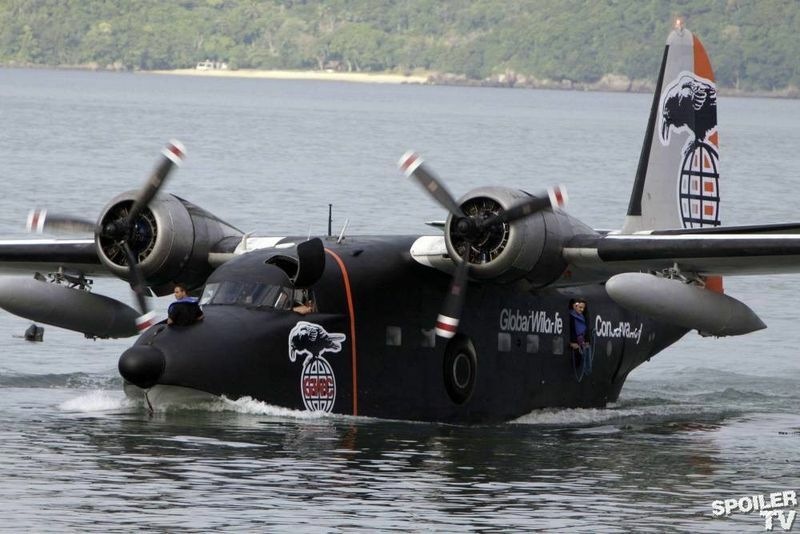 Aircraft will be used in movie production and will operate around Sofia and Varna. then will fly to Varna. From Varna will be made few flights including landing on water in Varna-Devnia channel. from Varna back to ATH. All Bulgarian permissions and taxes are my obligation. We will cover hotel, transfer and food for the crew. I asked right away if this was for Expendable 2. He couldn’t tell me any details, but in the back of my head I just knew it!! Of course Buffalo (AKA myself) jumped at the chance to be apart of a huge Hollywood movie. I asked my buddy Ken Brooker if these guys where legit and he confirmed they where the real deal. (Ken worked on some cool movies including one of my all time favorites “HOT ROD” and he also worked on one of the “Underworld” movies with the lady I have a huge crush for… Ms Kate Beckinsale!!) But here is where reality meets the real world. All of our CL-215’s that we owned where with us in Northern Canada. Bulgaria is a long ways away. just to get the airplane there would have cost $250,000 ONEWAY!!! So we at Buffalo where out of luck and so where they. After a bunch of emails and calls back and forth. I came up with the suggestion that they get a hold of our buddies in Turkey that bought our CL-215’s a couple of years back (or in Season 1 of Ice Pilots). I gave them all my Bombardier contacts, to make sure that they had all the help they can get to make this happen. Time pasted and I kind of forgot about untill I heard that a Stuntman had died in Bulgaria filming the new Stallone movie. Right then it all kicked back in and I started searching in the internet for pics of the CL-215, I couldn’t find anything just yet. 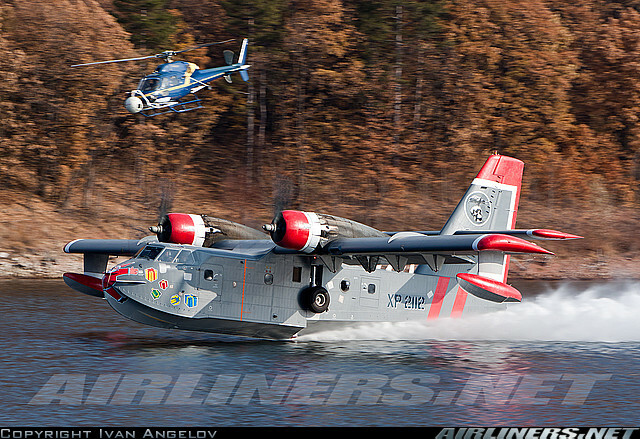 Then this spring I was in California for an Aerial Firefighting Conference and I just happen to run into my buddies from Turkey that bought our CL-215’s and the first thing out of my mouth was “Did you guys rent a Duck to any movie people?” He pulls out his camera and shows me the 1st pic. There it was, after a year of guessing and hoping, I got a sneak peek! “What serial number is this one I asked hoping it was one of the 2 we sold them (FNF s/n 1027 or TXB s/n 1007). He didn’t know off-hand so I ran some tail numbers and found out that it wasn’t one that we sold them BUT it was one that we fixed up and did a “C” check for; S/N 1076!! In September 2004, around the same time we bought our 1st 2 Ducks, a company in Italy called SoREM bought BXQ which is s/n 1076 and asked us to fly it to Yellowknife and do a “C” check on her and get it ready for it to fly across the pond to Italy ASAP. 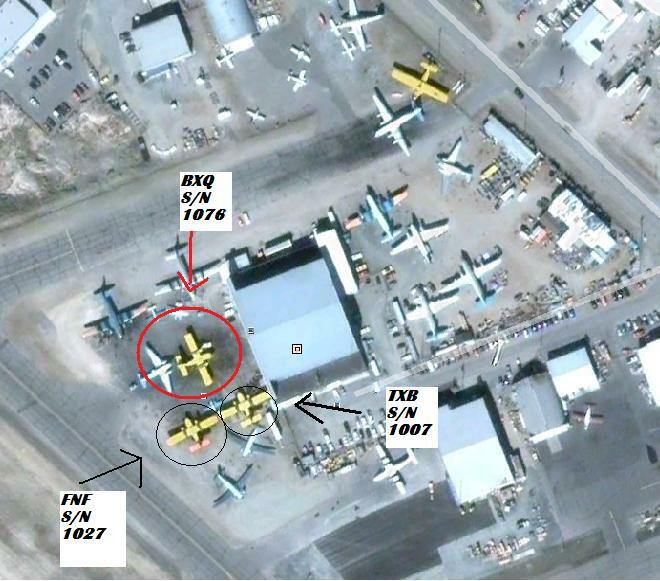 The funny thing is if you find our hangar on Google Earth you can see her on our front ramp (they need to update it hahaha)!! We got the plane ready to go and another company hired the pilots and they flew her over to her new home. A few years back SoREm sold 1076 to Trukey along with the ones from us to built up thier fleet. So as I sat down here in Yellowknife a watched Expendables 2 in our Movie theater, I couldn’t help but have the hugest smile on my face!! I played a very small role in this, but I felt a true connection to Hollywood, even if it was a split second. Go watch the movie and enjoy!! !